The Scriptures call God’s people to this kind of life, where we stick close to each other and find our life alongside others. We’re called to help meet one another’s needs, to tend to one another in our time of weakness or lack, and to protect one another during perilous stretches that we will inevitably endure. If someone finds himself overwhelmed by temptation, we shouldn’t reject him, but “gently and humbly help that person back onto the right path” (Galatians 6:1). 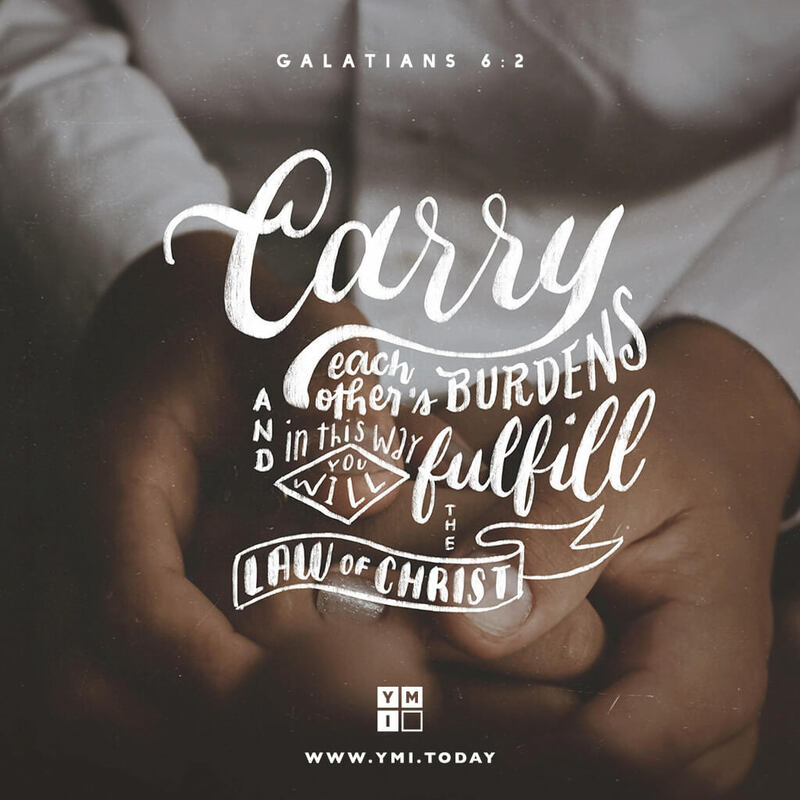 If someone finds herself in distress or grief, isolation or pain, we should “share [her] burdens” (Galatians 6:2). I find it instructive—and hopeful—that Paul didn’t say we’re to fix one another’s burdens. We’re simply to bear them. Their burdens are also our burdens, and—in time—our burdens will also be their own. Let’s choose to walk next to our hurting brothers and sisters in Jesus today.